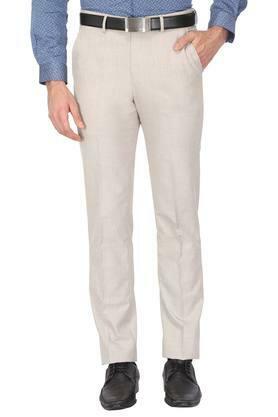 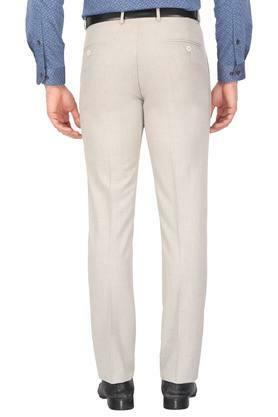 Style and comfort go hand in hand with this pair of formal trousers brought to you by Peter England. It has been crafted with care using a good quality fabric that makes it easy to maintain. 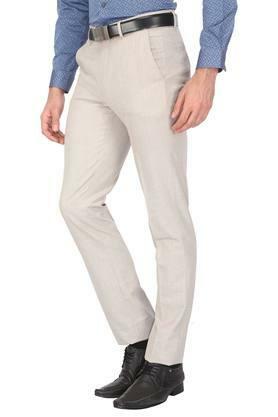 Moreover, it comes with a slub pattern that renders it fashionable while the fixed waistband with belt loops ensures a proper fit. Trendy and comfortable, this pair of formal trousers will make you stand out in the crowd. 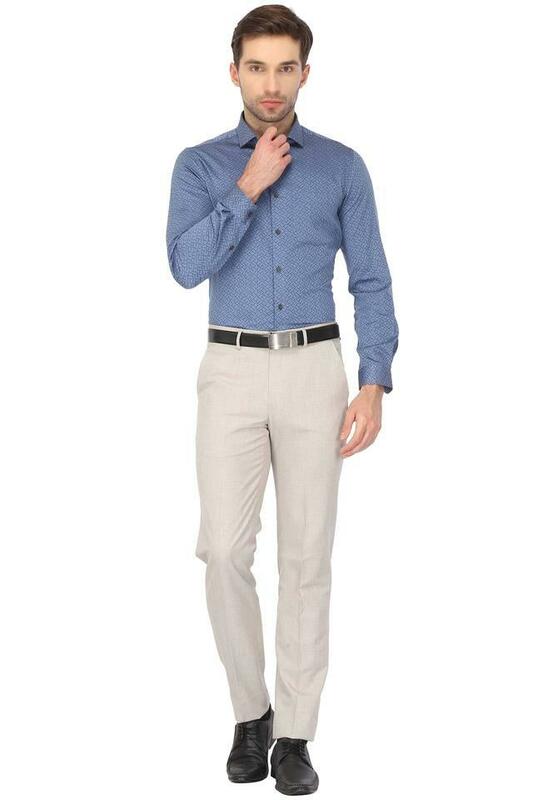 Team it with a shirt and a pair of shoes to flaunt your corporate look.